Hermes has installed a £1 million carousel system for bulky items at its hub in Rugby. 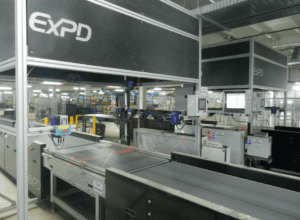 The system has two automatic infeeds, which are directly fed from boom conveyors, and two manual infeeds, all of which can handle bulky items up to 2m in length, 1.2m in width and weighing up to 50kg. The 270,000 sq ft hub opened in the summer of 2017 and initially increased the company’s overall parcel processing capacity by 45 per cent.